So I was over at the Microsoft Store seeing if one could pre-order a copy of Windows 7 with a fake US address and saw this banner when I checked out. I thought it was cute Windows is talking about itself in the first-person. It’s also interesting to see Microsoft ultimately classifying Windows 7 as a major upgrade where there’s been quite a bit of a debate on whether it is a major or minor release. Thoughts? Update: For those who are curious, using a fake US address did not work since it appears to check for the region of your credit card number too (after you complete purchase). So were you able to buy with a fake address? I think Win7 is indeed a major upgrade with virtually every corner of the OS modified at least slightly. The thousands of small changes come together to make a great product. It does suffer from the same problem as Vista, that is large compelling features that you can easily point to as reasons to upgrade. Sure there’s speed, but when the majority of consumers get Win7 it’ll be with a new machine, which’ll run any OS just fine. There’ll be many comparisons made between Win7 vs Snow Leopard and until both products ship and are in the hands of the consumers, it’ll be hard to be sure if pricing on both sides is good value for money. @dannyres: It seemed to take my fake address and Australian credit card, but I didn’t actually “complete” the purchase. @Garion: Yeah, weird, WordPress time settings was messed up. I’ve changed it now, but is not retroactive. Steven Sinofsky at Microsoft dot com? @Long: Nice. So, how do us convicts get the huge discount? Or, no dice? @people: If it’s all decided by version numbers then that’d mean OS X hasn’t had a major upgrade since early 2001 (when 10.0 came out). I think it’s nice that MSFT lets people upgrade for only $199 when Win7 is out – at least it’s almost on par with Apple’s $29 upgrade price. @Oscar – It’s $50 and this is for new OS, not a service pack like Apple charges for. @Nicko, no it’s actually $29. The $49 package is the Family Pack, which comes with 5 licenses – something Microsoft does not offer. As for ‘service pack’ charges, a new fresh copy of OS X is $129, the similar Win7 package is $299.99. @Oscar, I realize you’re just trolling around to stir up the Win vs Mac discussions, but I’m just going to be the rational one and point out… the $50 Nicko was referring to the Windows 7 Home Premium upgrade cost, not the Mac OS cost… just so you’re not harping on him for no reason. Of course, the truth of the matter is that retail upgrade costs mean nothing. The die-hards that just have to have the latest are going to find the right deals or aren’t going to care and will buy it regardless. Everyone else buys their copy of Windows or Mac OS with their respective computer, and well, OEM PC pricing for Windows will almost always beat the $30 upgrade for Mac OS. I could argue about which has more value, but well Mac OSX + iLife is pretty comparable with Win7 + Live Essentials. I’m not trying to stir up any Win vs Mac discussion. 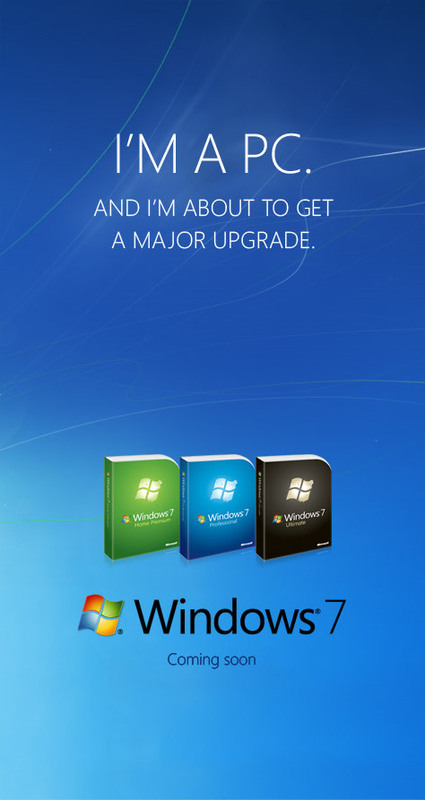 I was just using Apple to illustrate how ridiculous Win7 is priced. They’ve priced it higher than Apple – if anything that should tell you you’re being ripped off. While I get that Msft obviously wants people to go the OEM way because they’re in bed with most of the major PC manufacturers, and that for a lot of people they probably won’t notice much of a difference, the fact remains that we, the consumers, get a terrible deal here if we chose NOT to go out and spend money on a new computer from one of Msft’s buddies, or if we’re unfortunate enough to not live in the US and thus can’t grab that nice $99 upgrade price. The end point being that I, not wanting to buy a new ‘complete’ PC from one of the crap vendors Msft has deals with, but rather stick with what I have, would end up having to spend $199.99 for an upgrade from Vista. Sure, you could point out that Win7 is going to last me longer than the average OS X cycle, but then again, how long did Vista last?.. Most people have not used Vista so to them Windows 7 is a major upgrade. From a kernel perspective Win7 is a minor release, but from an end-user perspective it is a major one. Minor upgrade, 7 is nuthin more then a glorified Vista R2, other then the fact that Windows 7 has features missing that were once included with Vista, including the classic Start Menu user interface, Windows Ultimate Extras, InkBall, and Windows Calendar, Windows Photo Gallery, Windows Movie Maker, and Windows Mail…same scenario as when Longhorn features were dropped to finalize what became Vista….features continue to be dropped and the prices remain around the same as Vista…. so same price for Vista and Windows 7, and i think people would be better off with Vista in this case due to the missing features and such, although Microsoft added nice eye-candy in 7, it doesnt make up for missing features, same scenario as Longhorn, plenty of features were dropped before it became Vista, not sure how MS are going to offer this for the same price as Vista but with less features….very confusing…. imo this is right up there with the Ultimate scam/sham…. @Oscar: feel free to acknowledge you made a mistake regarding the $50 Nicko mentioned. Whenever you’re ready. How long did Vista last? Coming up to 3 years in November. Leopard will reach 2 this october. @article: 7 is a major upgrade for XP owners and below. Having used Vista since SP1 and having used 7 since public beta I can say there’s some really good improvements but they pale in comparison to, say, Win95 or Win2000. In fact, just the other day I was showing 7 to a friend of mine (he uses Vista) and I was having trouble once I showed him the superbar, homegroup and theme functionalities (yes, I’m exagerating but you get my point). I’m uninstallling Win7 right now and I won’t be upgrading. It still freezes up like Vista did. Unbelievble. I’m done with windows. 10 yrs of serious study and effort as a developer out the window. I’m just sick of dealing with windows. It prevents me from being productive. @dj_cityboy I would hardly call ‘classic start’ a feature. Photo, Gallery and movie maker are all still available – just re branded under Windows Live. I suspect the EU might have had something to say about that. Ultimate Extras was practically non-existent anyway and I’m some ways I’m glad to see them go. It could also be argued that you are losing features/compatibility with 10.6 as well, as its stripping PPC code out. Windows 7 on the other hand works on more machines then what Vista does (google: Windows 7 on dinosaur). A service pack is a minor update to Windows. Changing the UI, optimising the code, adding/changing features are all major things deserving a new release. @Mordenkainen: Sure thing. I did not see any $50 in the price list i was looking at, so i assumed he was talking about the $50 Apple license. Obviously I was wrong. However, comparing the upgrade price for a crippled version of the OS that leaves out many of the main reasons to upgrade and is feature-wise a lot less of a deal than OS X or even your stock Ubuntu distro, hardly serves to make a valid point. @Oscar: Don’t buy into the hype, Vista is no more crippled than 7/Snow Leopard is the second coming. For Vista once you turn off UAC (it’s not a security barrier by MS’s own admission and I’m not a 10 year old) and install SP1 it’s quite a good OS. Sure it has quirks but ALL OS have those. I’ve used many linux distros, been using MS’s OS since DOS 3.3 and Apple’s System 7 and 8 and they all have problems. They always have and they always will. Does 7 warrant the $50/$100 discount price for those who’re using Vista? Yes, absolutely. I’m less sure about the non-discounted price. I wish MS provided 3 or at least 2 licenses for retail purchases, like Apple does. Most people I know have two computers (desktop & laptop) and some 7 features (HomeGroup) can only be used by 7’puters. For XP owners however, the full price is more than warranted. @Mordenkainen: By crippled I was referring to “Home Premium” (and versions below that), which is missing quite a few awesome Win7 features from the more expensive editions – features that are more or less also present in the competing systems (OS X, Ubuntu, etc…) at no extra cost. So you can’t really compare a system’s upgrade price for an edition that is ‘less’ than what you get elsewhere. ^^ yeah its all a rip off….biggest joke of the year by far!! Highly aggrieved can’t access the $50 pre-order offer outside the US. It’s totally unfair. I’d say $50 was a reasonable price to upgrade from Vista Ultimate to 7 HP. There is no way I could/would pay the full price for it. If anyone figures out a way to get around the restriction, short of appealing to American friends like a douche, please post. The only thing major here is Microsoft’s silly/unfair US-only-50$-upgrade policy. pre-order offer in Germany (can also be ordered from other European countries, including my home country of Austria): 49€ for Home Premium, 99€ for Professional including 19% V.A.T. or buy Windows Vista Home Premium with free upgrade voucher for 80,75 (excl. V.A.T.) or Windows Vista Business with free upgrade voucher to Windows 7 Professional for 105€ (excl. V.A.T. ), Ultimate for 138€ so we really can’t complain here. Now if you convert this to US-$ it might still sound like a lot, but don’t forget that the US-$ has recently lost a lot of it’s value compared to other major currencies including the Euro. The offer is not US-only, it is actually offered in the US, Canada, Japan, UK, France, and Germany. But you are right, in a globalized world it still seems unfair to limit an offer like that to a few markets. Especially in the E.U., where free trade is a principle between all members it is extremely unfair. While a person from Austria will happily order their German-language 49€ Windows 7 from amazon.de and a French speaking person from Belgium will have no problem ordering their French-language 49€ Windows 7 version from Amazon.fr, or an Irish person from amazon.co.uk – it is extremely unfair for other Europeans who are not lucky enough to speak English, French or German!! !